The litany of corporate failures over decades, inequality between the wealthiest and the poorest, and the unresolved issue of corporate diversity are some of the drivers behind increasingly vociferous demands for organisations to embed a purpose that seeks to benefit society rather than exploit its resources. 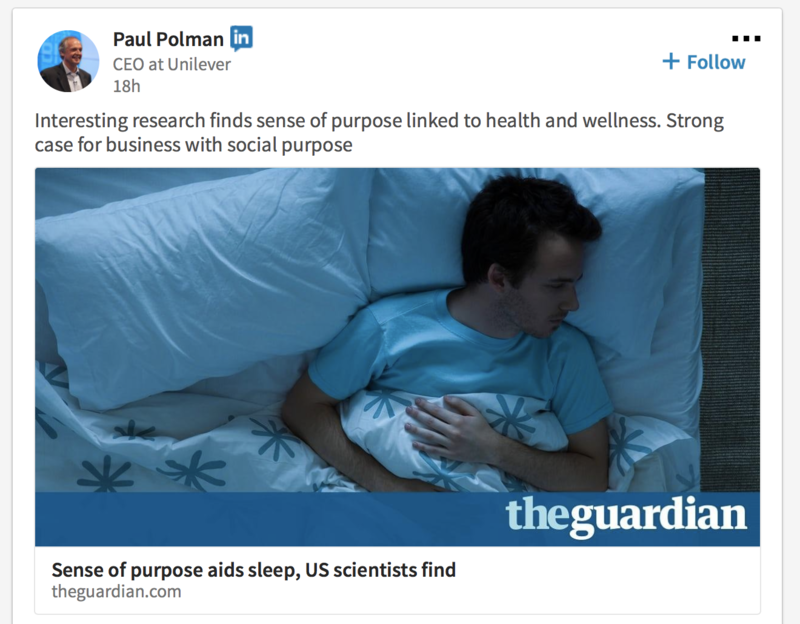 But most of the research, commentary and lobbying for a better corporate purpose has been unable to incorporate a critically important factor, blunting the impact of its message. This missing piece is a clear and measurable definition of purpose linked to quantifiable value outcomes. Without this, any message becomes diluted and far less powerful, often relying on weak and anecdotal evidence that is insufficient to compel action for change. We constructed our OMINDEX ratings and OM30© instrument on the premise that people will generate more value, and mitigate risk, if they are aligned to a common purpose. Additionally, a purpose explicitly linked to societal value matters more. 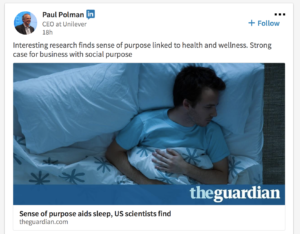 An emerging evidence base tells us that people prefer to work (and are likely to add more value) when purpose gives meaning to their working and personal lives. Purpose and societal value are thereby synonymous. We define both as producing the “Best quality product or service at best possible cost (including any external harm e.g. environmental impact)”. This means our definition can be applied to every type of organisation across all sectors and regardless of state, public or private ownership. Our OM30© uses this standard against a set of questions that allow us to measure the impact of any corporate purpose on value creation and risk. In our latest project, MI’s 2017 Banking Governance and Culture Report, we identified that the very best banks adhered to, or largely met, our standard. They seek to serve society first; that is their customers and the wider community, and this is done on the understanding that this produces the best returns for other stakeholders too. In our report, we identified nine banks that articulated a clear purpose, societal in its dimension, and which informed primary decision making. This is encouraging. However, the evidence strongly suggests that, for many, such a ‘purpose’ reflects the enormous pressure provided by regulators, governments, and wider societal stakeholders to re-shape business models; those which precipitated damaging banking misconduct costs and are considered no longer ‘fit for purpose’. Purpose has in effect largely been imposed. This perhaps explains why many of these bank’s articulated societal purposes were not seen to be embedded operationally. In this respect, only 3 banks managed to evidence the minimum level of success required. 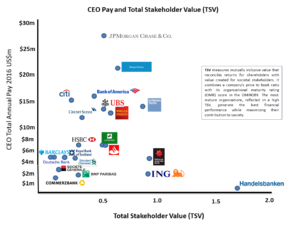 What about Purpose and Total Stakeholder Value (TSV)? Total Stakeholder Value (TSV) is our measure of mutually inclusive long term value that reconciles both the generation of returns for shareholders and value created for all societal stakeholders. It combines a conventional indicator of organizational performance – the P/B or price to book ratio – with a corporation’s Organizational Maturity Rating (OMR) score in the OMINDEX. The most mature organizations, reflected in a high TSV, are able to both generate the very best financial performance while at the same time maximising their contribution to society. Our work demonstrates that any leadership team that wants their organisation to be seen as socially responsible cannot simply determine and communicate a new purpose, and then hope that it will take hold. They need to go through a critical learning process to be able make social and shareholder responsibilities work in harmony, and not opposition. Making this happen is not easy and requires whole system thinking and solutions. However, the benefits can arise quickly, even if this is a truly long-term undertaking. Our view is that the best way forward is for all stakeholders to make both shareholder value and societal value one and the same – this approach is encapsulated in OMINDEX and integrated within Total Stakeholder Value (TSV) because it captures the totality of value in the long term. Using TSV will mean that boards, investors and wider stakeholders accept the clear and growing evidence that companies with higher OMINDEX ratings outperform those with lower ratings across critical indicators, including conventional financial value metrics. This makes ‘purpose’ far more compelling – a core factor to value creation; not a ‘nice to have’,’the right thing to do’, or something demanded by regulators. Our full findings for the banking sector, an essential read for boards, investors and regulators can be found in our 2017 Banking Governance and Culture Report. This entry was posted in Maturity Tales and tagged banking, corporate purpose, organisational purpose, Total Stakeholder Value, values. Bookmark the permalink.